Crystal skulls are enhanced and empowered by the presence of other crystal skulls, no matter what size or age they are. 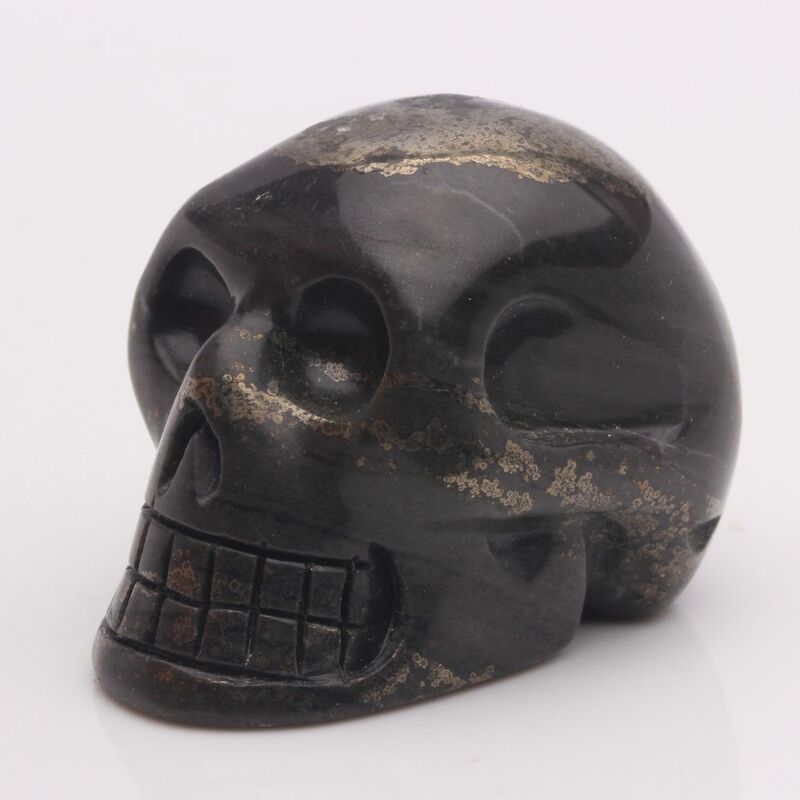 Crystal skulls seem to connect with one another and absorb each other's energies, making them more powerful each time they connect with other skulls. This is why many people who begin collecting crystal skulls feel drawn to continue collecting crystal skulls. It is suggested that crystal skulls have healing properties, transmit energy, have the ability to convey information or are repositories of ancient wisdom like a Universal library. That of ‘Illusion & Reality’, supports the being in recognizing and learning the difference, and wisdom, between Illusion and Reality. Pyrite helps the being to see what is real and what is Illusion, but not without a journey into the deepest areas of the mind first.A stone that lets the being see deeper into what is all around, to see past physical reality; may it be that is an Illusion or not ?Pyrite fades away physical matter to reveal pure energy forms, to reveal wisdom and hidden wonders; a perfect stone to use in deep states of meditation.To some, it may seem a testing stone, being the Illusionist, Pyrite mesmerizes and attracts, yet it does not reveal what is of reality at first. Pyrite teaches the being to feel, sense and understand what is right in front of all of human kind. It is not what so many see and accept as reality that really is in numerous cases. Once the being gets past this stage of learning, the being can then visit Reality, as well as Illusion.Pyrite is a very beneficial stone to keep close to those who are learning the Crystal & Mineral Kingdom, helping to prepare the mind for such learning, whilst improving the storing process. Pyrite also gives a thirst for learning of such a magical and wondrous Kingdom.A stone to help the being to be more of a seeker for answers that can help explain life ways and life’s journeys; encouraging the being to seek more than what is visible to the eye, written on paper, or carved in stone. Pyrite deflects away negativity and darkness, helping to protect from energy vampires, psychic attack, ill health, negative intent and bad wishing. This is also a stone that removes sluggishness, raises energy levels and enthusiasm, improves mental health, and strengthens the logical mind. 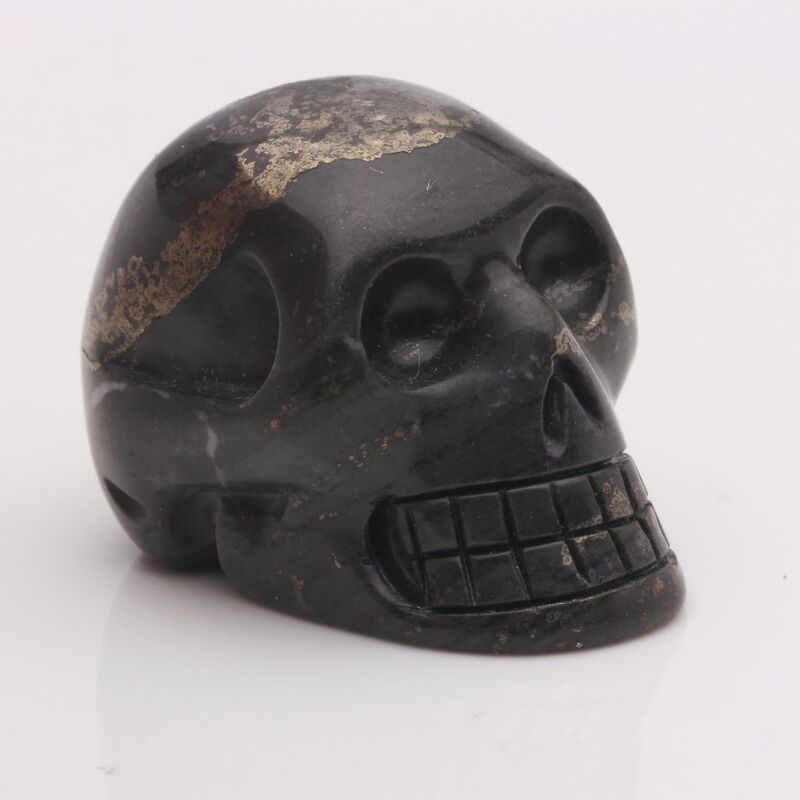 Use this stone to lesson pain, depression, anxiety, anger and frustration, as well as to raise awareness of inspiration and positive attitude. Pyrite is a must experience for many beings; it is not a stone to pass by, lower in credibility or to forget.This stone on a matrix works on a bit more of a slower rate which is more beneficial the beginner in such seeking and learning. Pyrite off the matrix however, works on a faster rate, so is suited to those with a bit more experience in these areas.